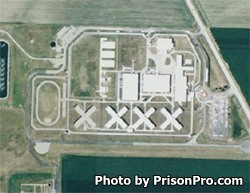 Western Illinois Correctional Center is located in Mount Sterling Illinois. It is a medium security prison that also oversees the Clayton County Work Camp. Currently this facility can hold up to 2,173 adult male offenders. Western Illinois Correctional Center is comprised of four housing units, an infirmary unit, a segregation unit, and a receiving and intake unit. This facility participates in the correctional industries program where inmates can work in a meat processing plant. Educational opportunities at Western Illinois Correctional Center include adult basic education courses and the ability for inmates to earn a GED. Offenders can also learn a new skill in the vocational courses offered here, which include automotive repair and technologies, various construction disciplines, and horticulture. Inmates can also receive substance abuse treatment, take anger management courses, and receive individual counseling. Visiting is everyday from 8:30am-5:30pm. You must arrive prior to 4:30pm or you will not be allowed to enter into visitation. Inmates are allowed six visits a month, two of which can be on the weekend or a holiday.